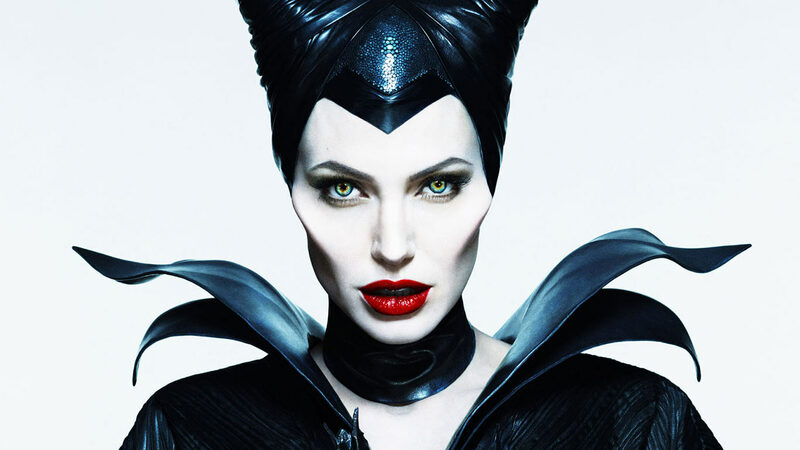 Angelina Jolie’s magnificent look on Maleficent stunned all of us. Even though Jolie has naturally inherited chiseled bone structure, contouring was used to accentuate her cheekbones for the Maleficent look. Contouring is widely used to give three dimensional look on Supermodels and Celebrities for photo shoot and red-carpet. It does not mean contouring is just for the celebrities. For daily use anyone can use contouring to have more detailed cheekbones or to give an illusion that one has slimmer face.You can use contouring to get heavily structured face shape like Maleficent or achieve a natural looking subtle but defined face shape. So what is contouring exactly? It is a technique that creates shadow and light to shape the outline of the face. 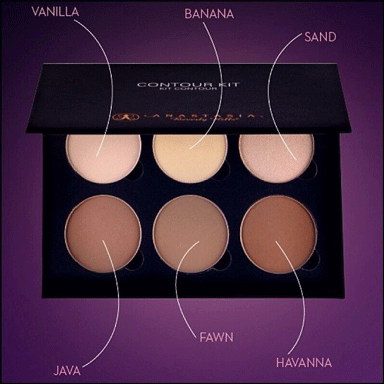 The main concept of contouring is creating depth and dimensions on your face. 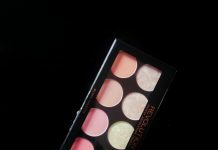 This is done by using light shade of products on the center of your face to brighten up and then using darker shade of products on the edge of the face to create shadows that alters the structure of face. powder products- easiest to blend and gives subtle look. liquid products- the staying power is best among the three textured products. Third, you will need right applicators. Using correct brushes will help you to get more accurate result. 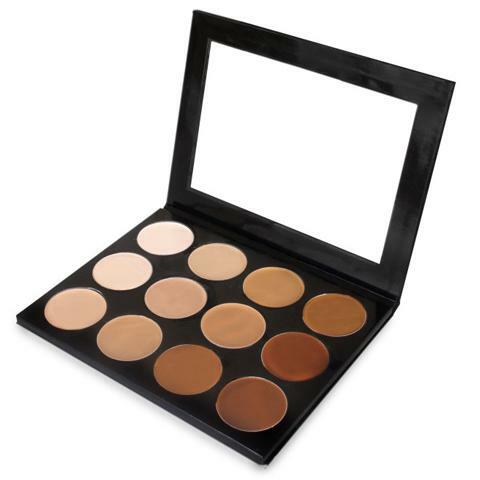 You cannot expect to achieve a perfect contouring make up using an eye shadow brush to blend. 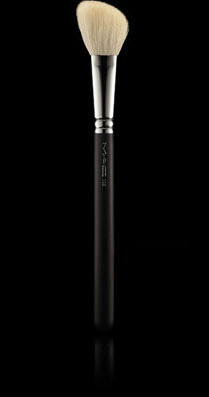 -Use an angled soft brush to apply contouring product. 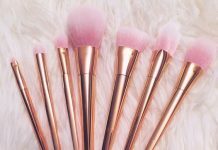 – Use sponge to blend for cream or liquid foundation and powder brush to blend powder product. 1. Prepare your face first. You need a clean face to start contouring. Exfoliate and cleanse the skin to remove dead skins. Use toner, moisturizer and a good quality of face primer. Let a minute to pass so that products can be absorbed by the skin. 2. 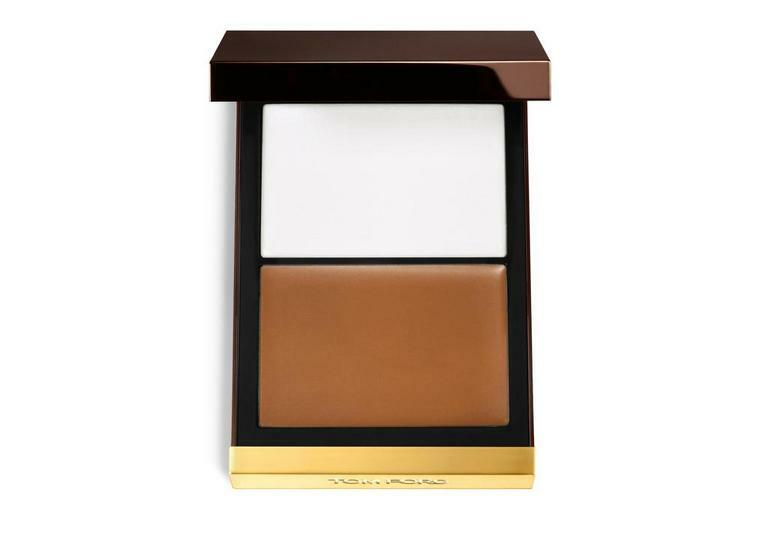 Apply a thin layer of the foundation that matches your skin tone using foundation brush or fingers. Make sure to blend it well with brush or wet sponge. 5. To achieve the natural look the contouring areas should be blended very well so that no harsh lines of dark or light foundation are visible. 7. Finish off with setting powder to remove any excess shine from the highlighter and to set the makeup. It has been already implied that face shape is very important when you want to achieve a contoured look. 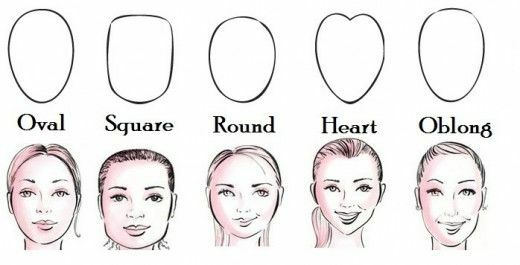 According to your face shape the contouring technique should be done. Spehora has this amazing instructions on how to do contouring on different face shapes. Check it out. 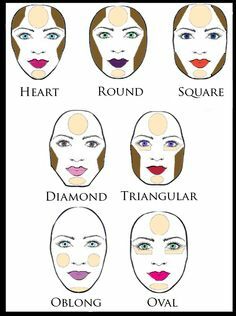 Contouring and highlighting for each face shapes. 1. DO NOT use any dark shade product that has glitter or shimmer on it . 2. Do not combine different textured product. Use only one kind of textured products. 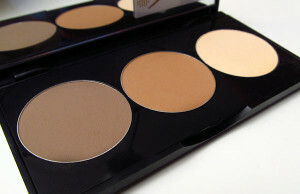 For example, if you are using cream contouring product, use cream highlighter. 3. Use blending brush or sponge to soften up the contoured areas. 4. Remember not to spread the darker color much below the cheekbone. 5. Pick colors that suit your warm or cool tone. 6. Pick shades that are one or two shade lighter and darker than your natural shade so that they’re not so different from each other. 7. Don’t go too below or up than two shades otherwise it will make your look unnatural..
8. Use powder products instead of cream and liquid for less dramatic look. 9. If you don’t own any of the mentioned products, you can use dark non-shimmery eye shadow. To remember where to put darker and lighter shades “face framing 3” “Eye high-lightening C” “nose slimming 11” tricks have been created. 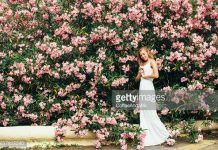 This blog called citizensofbeauty illustrated all the tricks in these two pictures. Made easy, right? Wayne Goss showed how you can contour with liquid foundations. “Harry Potter” actress Emma Watson likes to contour her face subtly with matte bronzer and add blush to get youthful glowing look. “Gossip Girl” star Leighton Meester used contouring to make her nose more slimmer. Notice how the highlighter on her cheekbone and above the brow bone are reflecting light. “Glee” star Lea Michele defined her cheekbone with contoruing. Contouring takes a lot of practice. Be patient and keep working on it. Remember, it is up to you how you want to look. If you don’t want to make your face appear slim, don’t do contouring.